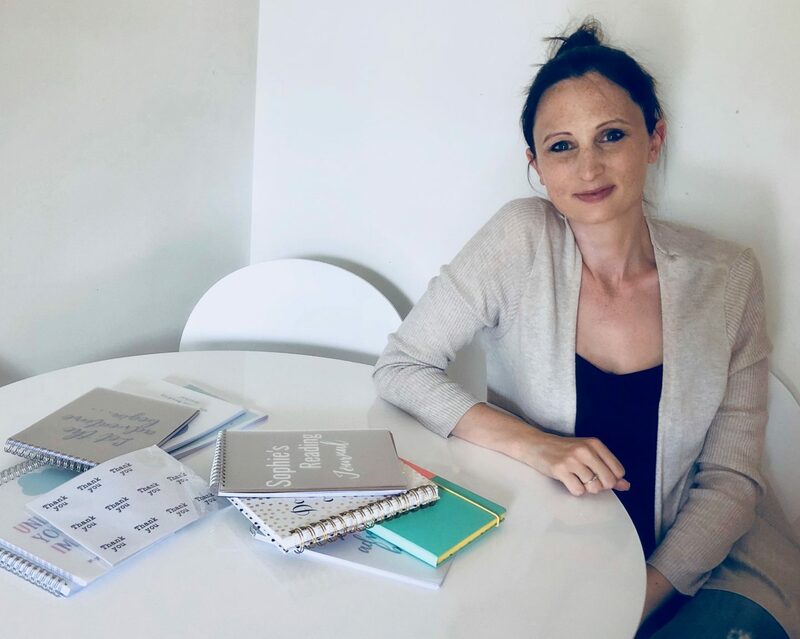 From word of mouth beginnings, meet the mum using her teaching talents to bring to life her mission to help children fall in love with writing. Jo Britland has always loved writing. Growing up with a journalist for a mother and with a love of English and Theatre, creativity and working with words were in her DNA. However, as a teacher, Jo understands that not every child enjoys writing and parents can find it difficult to know how to support and encourage them. In the Autumn of 2017, Little Writing Company started after parents of the children Jo taught started noticing the writing materials and literacy books that she was using in her own classroom. The orders started coming in and the business began to grow naturally. She now continues to teach part-time at a school in London and runs the business from home at weekends and in the evenings. I started to create my own literacy workbooks for the children I used to teach because I never liked the generic plastic workbooks you can get in shops. After great feedback from parents, I decided to take the business ‘online’ and then added more workbooks, notepads and stationery to the collection. 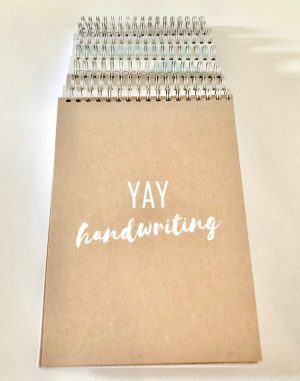 All our products have been designed and made with a lot of time and care with the sole purpose of helping children fall in love with writing. What is your mission behind it? There is naturally a lot of focus on reading and reading with you child. But there is less emphasis on writing and the importance of children being able to write freely without pressure and to just let their imagination shine. So I wanted to create resources, workbooks and stationery that promoted that love in writing. What is the most fun aspect of your business? I love the social media side of the business, meeting other businesses and being part of supportive business groups. Creating and developing products and of course seeing your business grow is also fun and exciting. Getting lovely feedback from parents and children is incredibly rewarding, also parents reading my blog posts about how to support their child’s learning at home is also fantastic. 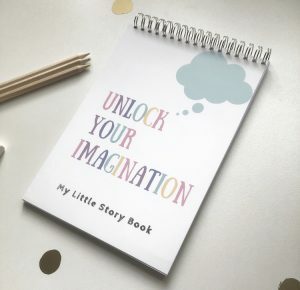 Mostly my customers are parents of primary school-aged children who want to support their child’s love of writing, or maybe they have a child who is a reluctant writer and they want a product to help inspire them. I also have lots of customers who home educate their children who are looking for writing resources that are different from the generic plastic workbooks. Of course I also have customers who buy my products as gifts. What do you think parents find hardest about supporting their children with homework and literacy? I think parents find it hard to keep up with the ever-changing curriculum in schools, so they don’t necessarily know how or what they should be doing at home to support their child. They might know their child needs support with literacy but aren’t sure where to start. Asking a child’s teacher is always a great place to start and I always suggest parents try to find learning in every day activities so it doesn’t become a chore – asking a child questions about their reading book over dinner or making cakes, and doing some simple maths when measuring out the ingredients is often a great way to start. What do you find children struggle with most when it comes to writing? Children can find remembering all the grammar rules a struggle and reading their work back to themselves to make sure it makes sense. That’s why in all our story-writing workbooks we have, after each section, a ‘tick box’ page where they can go back and check capital letters, punctuation, adjectives etc to see if it makes sense. What is your dream for every child when it comes to writing? That children love writing and can use their imagination and creativity freely without worrying whether their ideas are ‘right’ or ‘wrong’. How do you come up with the ideas you sell? Being a teacher is great for coming up with ideas because I can really design products that are perfect for children and support the curriculum because I teach the age range. I have designed products which I have wanted, but have not been available in shops (like our reading journals). I wanted a workbook that could also be a keepsake and something children can look back at rather than workbooks that are just thrown away. Do you design all the products yourself as well? I design all products including the exercises and activities and this is done with the help of other teaching professionals to make sure they are a perfect tool to support literacy and support the curriculum. I also design the front covers, although because I’m not a designer our next step as a business is to get a designer or illustrator on board to help with the front covers of our workbooks. Which are your favourite products to create? I enjoy creating all the products, but I do enjoy it around Christmas when we start selling our Christmas Thank You Postcards and festive writing tools. What have been the biggest challenges in setting up and launching your business? I think the biggest challenge has been working part-time as well as working from home. It is hard to balance the two and give both equal amounts of my attention. What do you find hardest about working from home? I find the hardest thing is balancing my children being at home, so I have to fit a lot into evenings and weekends when I have childcare. I also have to be very disciplined because there are always other things to do at home such as housework or tidying or the TV, that can be very distracting. 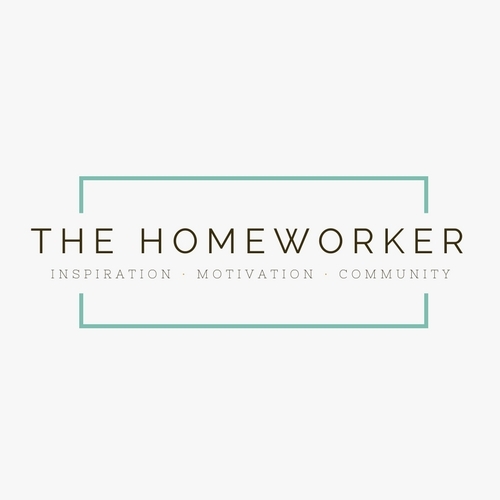 What do you love most about being a homeworker? I love the choice it gives you and the freedom to choose when you work and what hours you work. You can fit your work around your other commitments. So when do you end up doing most of your work? Usually in the evenings or at weekends, I try and reply to emails when I can throughout the day but actually working on my products and fulfilling orders tends to be in the evening when the kids are in bed. Do you have a dedicated space to work in? I work either at my desk or sat on the sofa with my laptop. I try to work at my desk as much as possible but in the evenings I often creep onto the sofa to work. What were your main concerns about running your own business? My main fears were whether people would buy my products I’d spent so long creating and there is always so much I could be doing on the business, sometimes it’s hard to switch off. What is the hardest thing about being a product-based business? I think making yourself stand out on social media is very hard, and finding the right avenues to use to sell that compliment your products, is also hard. Do you have a strict schedule for work or is each day different? Every day is different, which I love. By the very nature of our business we have peak times and quieter times so I try and be as adaptable as possible. I usually have one or two key targets that I want to achieve that day or month and make sure I get those done. What have you discovered about yourself since setting up a business? That I’m more of a perfectionist that I thought I was and I’m also braver than I thought I was. What is the best advice you’ve been given around running your own business? Do something every day to move your business forward – no matter how big or small as long as you do something each day. Is there any advice you would give someone considering working from home and launching their own business? Don’t wait for it to be perfect, if you wait until everything is perfect you will never do it – it’s best just to launch and adapt your business as you go along. My biggest success was achieving our sales target last year and also selling on several other market platforms other than our website has also been great. I think celebrating our year anniversary was a big achievement and also over the summer I completely revamped the entire range of products which I was really proud of. If you could start over and rewind the clock one year, what would you do differently? I would have done more social media courses to understand social media platforms better, something I only started doing six months into my business and it made a huge difference. If you could sum up LWC in three words, what would they be? The Lion, the Witch and The Wardrobe has to be one of my favorites! I enjoy writing my blog, I’m a touch typer so find typing as quick as writing now so I find my blog is a nice creative outlet. I would love to write a book… Watch this space! Welcome to The Homeworker magazine. We hope to inspire, motivate and provide a reassuring and supportive platform for your work from home lifestyle.